How to cite sources and images using APA, MLA, Chicago and other styles and information on academic honesty and plagiarism avoidance. All sources should be cited in a bibliography or reference list and in the text or footnotes of a research paper. Citations give credit to the the author as well as enable other researchers (or your instructor) to locate the cited item. 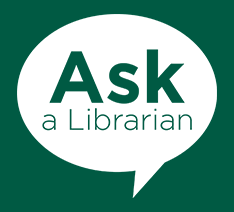 In addition to this guide, Binghamton University Libraries also offers two interactive tutorials on the Online Tutorials page: Avoiding Issues of Academic Dishonesty and Citing your Sources. How do you cite your sources? Citation styles provide rules for writing and formatting in-text citations (i.e., parenthetical citations, footnotes, or endnotes) and source lists (e.g., bibliography, works cited). These styles also provide guidance on how to format the text of the paper (including use of graphs, charts, and images) and writing conventions for the field. Common styles include APA, MLA, and Chicago Manual of Style, but many subjects and journals have their own styles. Your instructor may require the use of a specific style or allow students to choose. Either way, what's important is that you use the style consistently throughout your paper. Page maintained by Julia Glauberman.